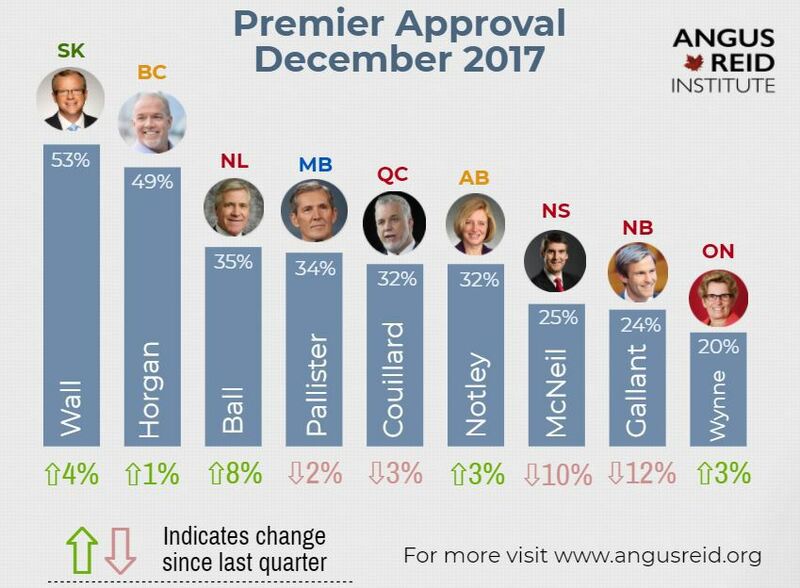 Premier Dwight Ball’s polling numbers have shown a significant improvement in the latest Angus-Reid poll released on Tuesday. Ball’s approval rating rose by eight percentage points from the last poll and now stands at 35 per cent, which is third best among nine of the country’s premiers. In past polls, Ball had rated second last. Brad Wall of Saskatchewan remains the most popular premier in the country, while Kathleen Wynne of Ontario remains the least popular.